The fourth floor plank for The Jennings is set and the masonry is in progress. 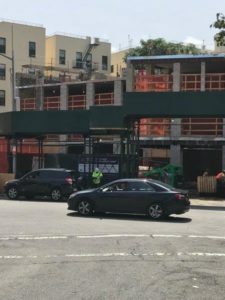 It’s so exciting to see our newest affordable housing project in the Bronx going up! The Jennings will be an eight-story, 54,000 square foot, affordable housing project with 42 apartments – nine 1-bedroom, thirty-two 2-bedroom and one 3-bedroom apartment.